... 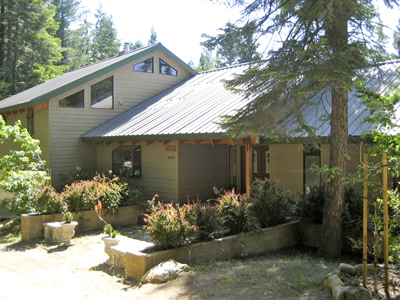 When you stay at Sunshine Mountainview Home, nestled in the beautiful Sequoia National Forest at Hume Lake Christian Camp. This homestay offers gorgeous mountain views, private decks, a huge kitchen, two fireplaces, and six charming bedrooms. Located only ten minutes walking distance from the lake, gift shops, restaurants and recreation facilities, this mountain home is perfect for a romantic weekend or a vacation for the whole family.